I have been writing stories since my kindergarten years. I have gone through various types of writing including radio scripts, essays, reports, and research papers, and poems and short stories continue to be my favorites. When I first came to Canada, creative writing was one of the best means I found of learning different languages. Then for the next 8 years or so, creative writing has been the very means of keeping up with my Korean. My friends and I have attempted to build a group that speaks to both English and Korean literature, and we did, but it was hard to keep the group running without the professional knowledge and resource to run a literary circle that treats two languages. Therefore, I was delighted to hear that a group called CCC, short for Corean Canadian Creatives, was launching. It is a fairly new organization that aims to build a community of creative individuals. You can learn more about the organization here. 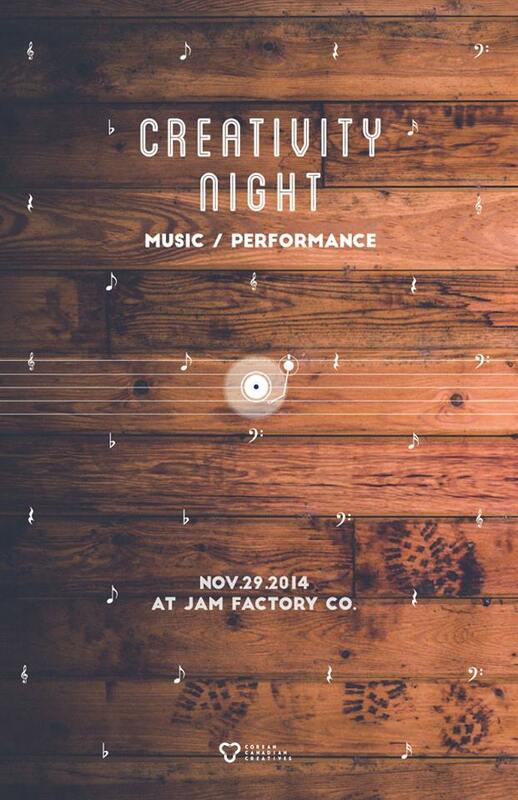 CCC has done two major events: Launching Party – Creativity Night with music and Collaborative Project that was a literary magazine. Its current project is a second Collaborative Project involving music and videography. I participated as a creative writer for the first Collaborative Project magazine. The magazine is called ‘Journey: 다님’, and the overarching theme is Korean-Canadian identity. There were 5 teams. 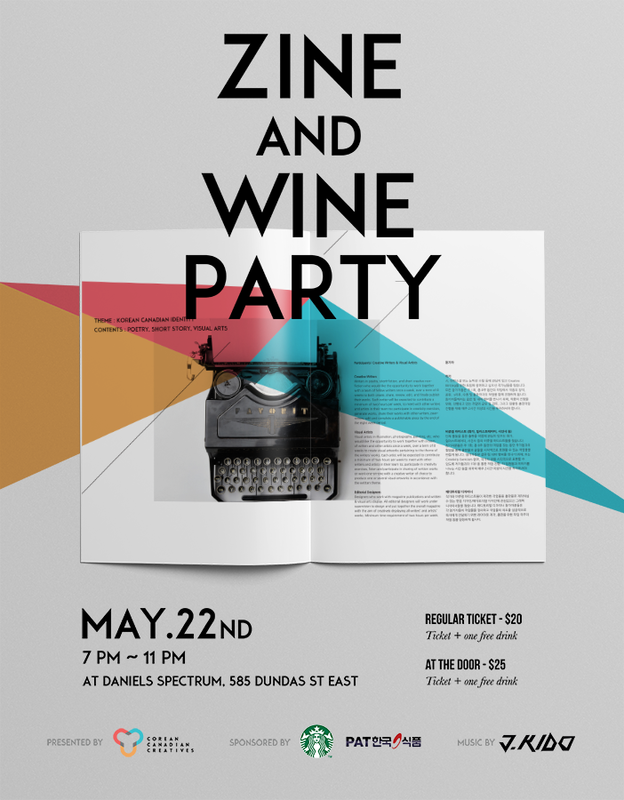 Each team consisted of three creatives: a visual artist, a creative writer, and an editorial designer. The final product of the project can be found here. I wrote three poems in the section ‘Yellow’: ‘꽃잎’, ‘April 16th’, and ‘선희의 지문/Sun-Hee’s Fingerprint). 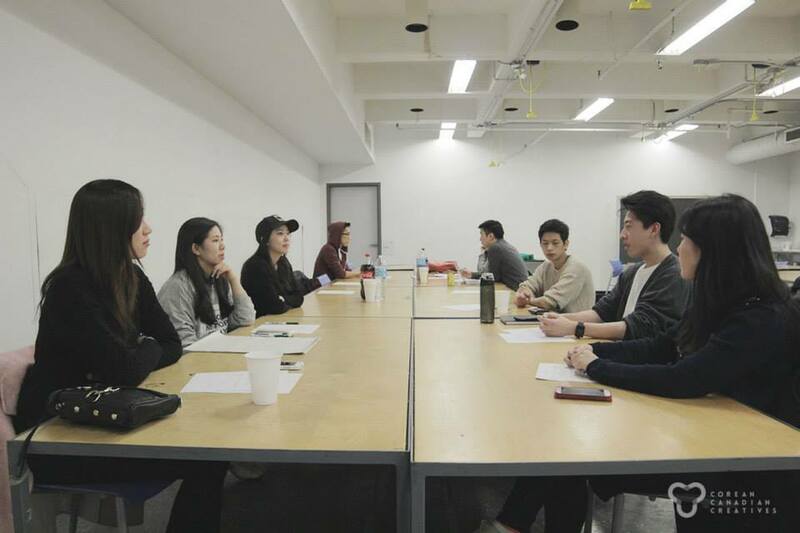 It was a great experience to work with fellow Korean-Canadian artists and to learn from each other’s feedbacks. CCC’s next Collaborative Project is on its way. This time, they have collected Video Artists and Musicians to create songs and videography. The songs will be roughly based off on the magazine and will reflect the project participants’ interpretation of the writings and visual artwork. I think CCC’s mission deserves recognition, so I am writing this post to draw more attention to the creatives who are working at and with CCC to build this wonderful cross-cultural network of creative minds. To follow CCC on Facebook, click here. Thank you, Jenn! I know you are a poet yourself, and it is wonderful to hear your feedback.